There has been a lot of talk lately about parenting practices in other cultures. Remember Tiger Mother? The newest culture on the scene, the French. 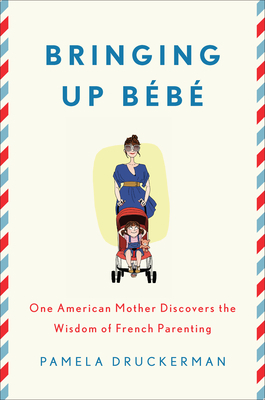 A new book called Bringing Up Bebe introduces us to the wisdom of French Parenting. It is clever and funny and a great read. Bringing Up Bebe was written by Pamela Druckerman. As an American raising her children in Paris, she quickly realized that French children and parents have it all together. -They eat their vegetables without complaining. -They play at the park unassisted while their mothers chat on the park bench. -They are patient, which means less temper tantrums. What is great about the French way of doing things? For starters, the French don't believe in catering to a child's every whim. These are all positive parenting practices that we can and should implement. The French do so many things right. I love "The Pause" and the way the French teach their kids to sleep through the night, and I love the idea that children are given freedom amongst guidelines. But... the French can also take these practices to the extreme and appear somewhat cold in their relationships with their children. You will not find a French mother playing with her little one at the park or going down the slide, rushing in to pick up a crying baby, or on the floor playing Candy Land. So, should we emulate the French, or American's? The answer, we should learn from parents of all cultures and do what is best for our children and our families. Moderation in all things. Avoid the extremes. Never playing with your child is not right, but neither is constantly catering to their every request. There are times when our children need to learn to entertain themselves, and times when we should be right down on the floor playing with them. Avoid Being Selfish or Lazy. There is a fine line between teaching our children/what is best for them, AND, selfishly avoiding doing things for our kids because we are too busy thinking about ourselves. Do we instruct them to get their own drink of water because we are too lazy to get up and help? Or because we see the need for our child to learn to solve their own problems and learn to take care of themselves. It is important to assess our personal motives for how we are parenting our children. There is one thing that the French understand very well. Our children are capable of feats of understanding and autonomy that we as parents often overlook. Time to see our children for who they really are. At what age do your babies sleep through the night? Do you like learning about how other cultures parent? Want to learn more about Bringing Up Bebe and Pamela Druckerman. 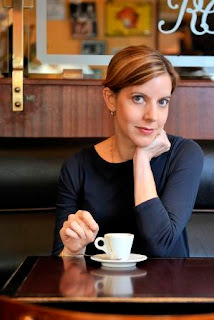 Visit her website, get in touch with her on Facebook, and follow her on Twitter. I slept with all my babies and nursed them while we both slept. I was never tired, and sleeping through the night was never an issue. My last two slept in their own beds, without nursing, consistently, by age three. Which was just fine. I think other parenting practices are interesting to read about, but we should really look hardest at the practices of "primitive" peoples who still parent more or less by instinct and have not been corrupted by modern cultural expectations. Interesting! I just reserved a copy at the library. Hmmm. My first thought with parenting books from other cultures is that they must be generalizing. I have a hard time believing that all French babies sleep through the night by 3 months, and that all French children love vegetables. All American babies are different from one another and I'm willing to bet all French babies are different from one another too! Two of my babies started sleeping through the night very early on, and one didn't do that until she was nearly a year old! Either situation is fine for me, I believe in following my kids' cues which for me is different than catering to their every whim. I could write a book on the Swiss and raising children. My husband is Swiss and it is hilarious how different we are. Although, I am more Danish and had some different opinions.... with five kids later, they have turned out the way we had hoped. I will say this much, most of our family is in Western Europe. They would agree that American children have a reputation of being quite spoiled and suffering from a great sense of entitlement. I love reading about parenting from other cultures. I so agree that moderation is the key to good parenting! I love learning from other cultures but I don't like going to extremes on anything. Thanks for taking the time to read and review this one for the tour. Good heavens I wish my 2 year old would sleep through the night. She does, occasionally, but mostly it's me up once or twice and lately, 5 or 6 times. It's KILLING me. I like the idea of French parenting but I do not know how to teach my kids those kind of manners. I just don't. Like you said, moderation is so important! I don't mind playing on the floor with my son, but I do intend to raise him so that he can go off and play at the park while I sit on a bench chatting with a friend. A time and a place, right?